It’s been a bit chilly lately and felt like time to warm up with a bowl of one of my favorite soups. This recipe will make a stock pot full but get your spoons ready because it won’t last long, at least not at my house. When Cameron smells the soup it disappears faster than you can say “time to eat”. 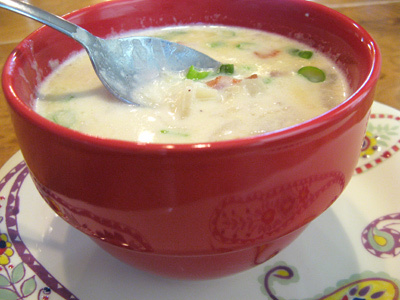 It’s creamy and packed with flavor and will warm your heart and make you smile. Also, it’s a Paul Prudhomme classic so it has to be good!